Effective night cream to enhance skin moisture by filming and penetrating to the skin with the technology “ Nanocube-V ” which delivers the natural ingredients to the skin. Promotes skin healthy, remarkable firm, smooth, radiant, and restores the skin hydration. Also, refines aging wrinkle. Face nourishing cream with natural sun shield protects skin from UV-A and UV-B which is cause of wrinkle and dullness. 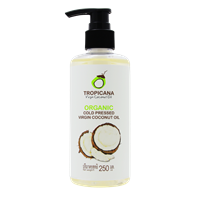 Formulated with coconut oil, vitamin B3, Shea Butter, Nanocube-V, Aloe Vera, Phellinus Linteus, Carotenoid from tomato extract. Protects your skin from losing the natural moisture and improves your skin for long-lasting youth looking. Milky serum improves your skin and effectively protect skin moisture by coconut oil, Sheabutter, Nanocube-V, Aloe Vera, Phellinus Linteus, Schizophyllan. Enhances skin’s natural balance. Nourishes skin for looking firmness, gradually diminished dull skin, refines aging wrinkle and brighten skin with vitamin B3. Special face preparing washing gel comprised mild surfactants from coconut which maintains and softly clean up your skin without dryness. Formulated with Aloe Vera, Phllinus Linteus, Schizophyllan. Suitable for dry and sensitive skin.